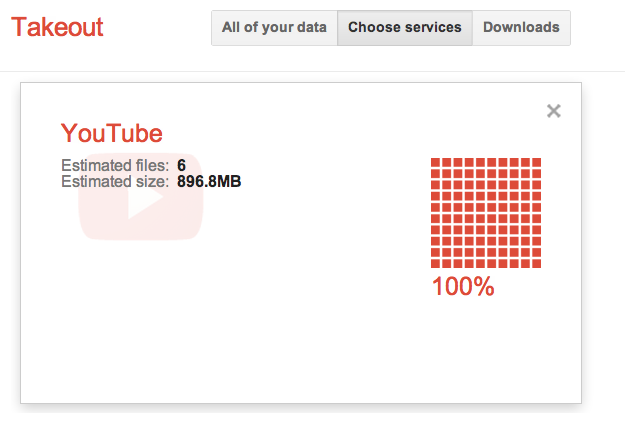 Starting today, you'll have a couple of new features to make it even easier to download your data. 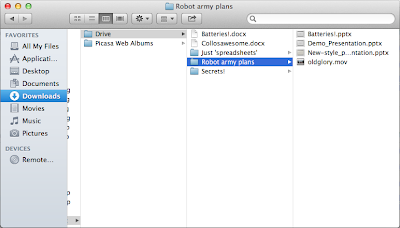 First, your original folder hierarchy is now maintained if you export files from Google Drive. 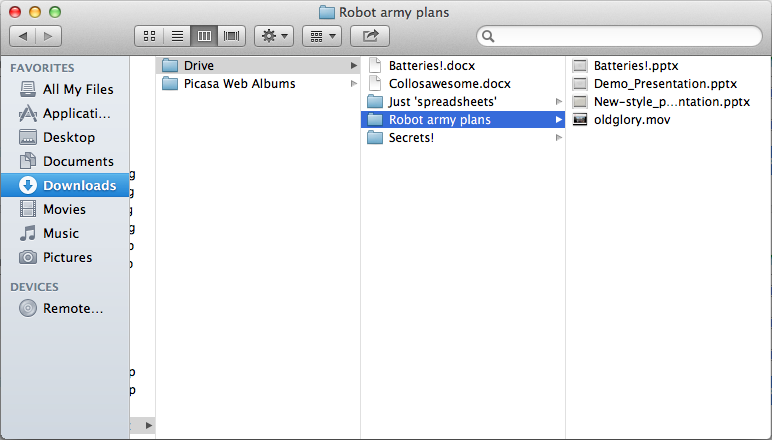 Gone are the days of looking at the contents of your zip file and wondering which "secret_plans" file is which. Your folder hierarchy is preserved. 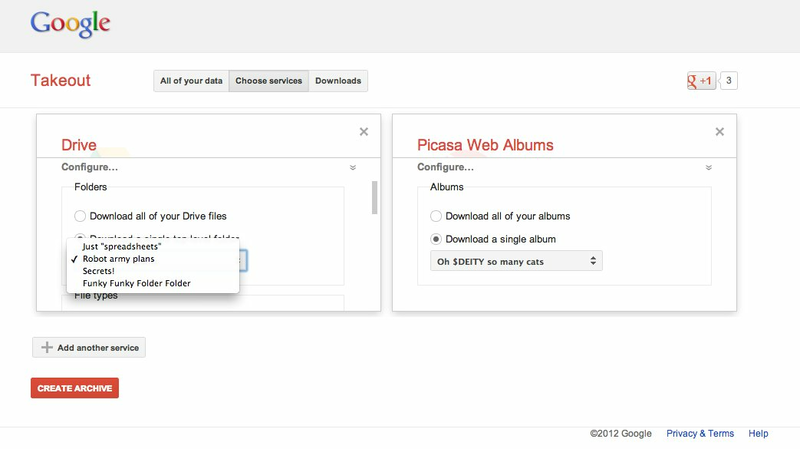 Second, you can now pick a single resource within a service to download - for instance, a single Picasa album or top-level folder from Drive - instead of exporting every single file. To try it out, go to the "Choose services" tab and click on "Configure..." once you've added a service that supports this. Want to download only your nefarious plans and all of your pictures of cats? We've got you covered! These are just a few things that we've been working on lately. Stay tuned for lots of excitement in 2013! We're always working to improve our tools and make it easier for users to control and access their data. Today we are happy to add support for two new services in Google Takeout. Latitude: Download a json file with your location data. Reader: You can already export your data within Reader. 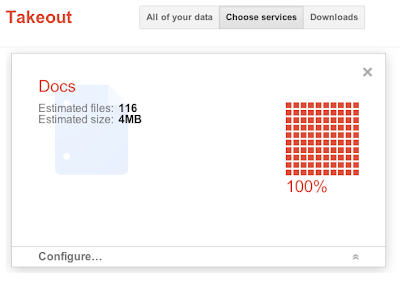 Now that functionality comes to Google Takeout. Export an xml file of your subscriptions and your lists of starred, shared, following (and more) items in json format. It’s been easy to liberate your Google Docs in lots of different formats for awhile now -- ODT, PDF, RTF, Text, Word, HTML -- you name it. 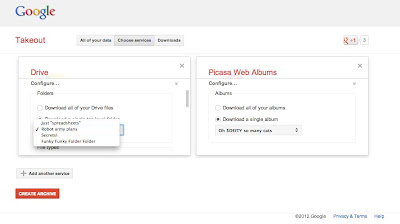 Starting today, you can export them along with everything else on the Google Takeout menu. Choose to download all of the Docs that you own through Takeout in any of the formats mentioned above. We’re making it more convenient for you to retrieve your information however you want -- you can even Takeout just your docs if you'd like. Lastly, be sure to click on the new "Configure" menu if you'd like to choose different formats for your documents. 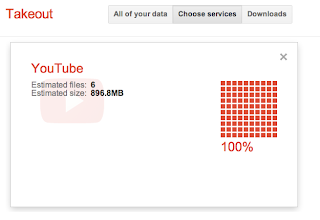 Enough of these goofy videos for Google Takeout. It’s time for an instructional screencast video instead. 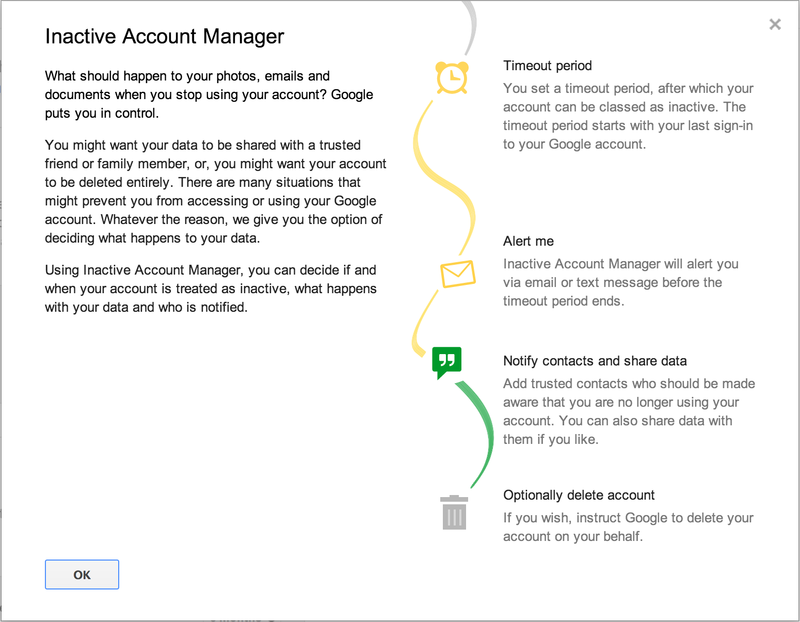 This week, Gmail added support for downloading your recorded chat logs via IMAP. All of the entries that you can see in your Gmail chats label will now be delivered to your local email client if it is configured to use IMAP. 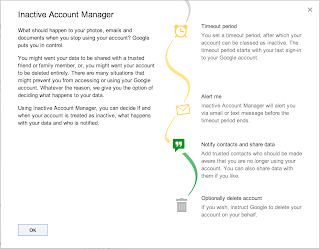 We have some information about how to set up and use IMAP for Gmail liberation on our dataliberation.org site, but since chat liberation has been requested by many users in the past (both on twitter and our moderator page), here is a screencast that demonstrates this new feature in use. If you already use IMAP to synchronize your Gmail account to a local device, enabling this new chat log export is as simple as clicking on the “Show in IMAP” checkbox for Chats in the Labels tab of your Gmail settings.